Men settled the West, Women civilized it. This was especially true in Great Falls, where women both civilized and improved the vast landscape of Great Falls Montana. The first notable woman of Great Falls was Sacajawea, a Lemhi Shoshone woman who was instrumental in helping the Lewis and Clark Corps of Discovery achieve their chartered mission of exploring the Louisiana Territory. Sacajawea traveled with the expedition thousands of miles from North Dakota to the Pacific Ocean and along the way, established cultural contacts with Native American populations. Sacajawea’s tenacity and strength was on display when in February 1805, she gave birth during the expedition. Throughout, she carried her son Jean Baptiste Charbonneau, in a papoose on her back. Sacajawea proved to be instrumental to the Corps of Discovery; she found edible plants, saves some of the cargo from a capsized boats, and served as a symbol of peace. 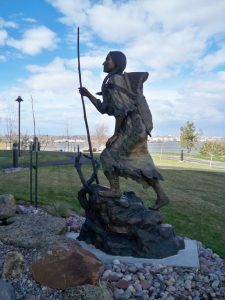 In 2010, a statue of Sacajawea with her baby on her back was dedicated behind the Federal Building along the River’s Edge Trail. The dedication included the burning of ceremonial sweetgrass, and more than 100 people took part in the ceremony for the 9 1/2-foot statue. The statue, Arduous Journey was created by famed sculptor Carol Grende. Anyone familiar with Great Falls knows the name CM Russell. Few, however, know the name Nancy Russell, the woman not only behind the man, but the woman solely responsible for Charlie’s success, international fame, and enduring legacy. Nancy was born on a Kentucky tobacco farm, but moved west with her family. Working as a housekeeper for the Roberts family in Cascade, Charlie and Nancy met when he was a guest of the Roberts. Charlie’s marriage to Nancy marked a turning point in his career. Nancy took control of the business and arranged exhibitions around the world. For Nancy, Charlie’s art was business and she left nothing to chance. Great Falls’ history includes many stories of women that worked in brothels, and these stories are the basis the Downtown Chicks’ Historic Brothel Trolley Tours that show the seedier side of Great Falls. The tours include 8 principal cast members whose stories are told in a “fictionalized factual history” style, plus many extras. Characters are dressed in period clothing and lead the tour while in character. The tours highlight the stories of women from late 1800s to the 1960s. The tour also highlights the housing where women lived, including the old 10th Alley South, which today River Drive. 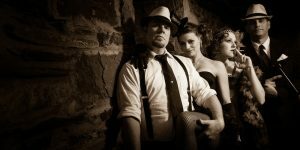 The women along 10th Alley South entertained the men that worked as ranchers, railmen, and miners. 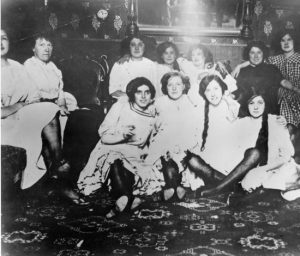 The Park Hotel, Rainbow Hotel, and Thompson Hotel (now the location for Hoglunds) housed many of the women, who earned better wages in the brothels than as seamstresses, laundresses, and other trades. On a brothel tour, you will see Great Falls from the inside out, visiting a few places that still have original cribs from the brothels. You’ll hear the stories of widows and mothers that saw their line of work as a way out of poverty. And you’ll learn about the women that thrived as madams. After a tour, you’ll walk away with a greater appreciation for the tenacious spirit these women handed down to the city of Great falls. 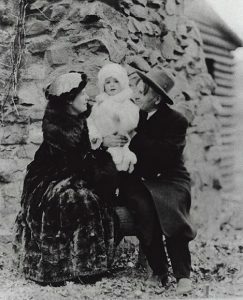 The women that worked in brothels were largely responsible for funding hospitals, schools, and other charitable endeavors in Great Falls and throughout Montana. When Paris Gibson and his wife Valeria came to the Montana frontier and settled what would become Great falls, Paris did so with the mindset of not only building an industrial center, but in building a city with an enduring story. In fact, Paris Gibson’s design of a grid pattern for streets was the first planned community in the US to be organized in such a way. To fulfill his dream of building a true community, he knew that bringing women to the West through education and healthcare would encourage industrious and hard-working men to follow. The first citizens from the East arrived in 1883 and in 1884 a flower mill, several stores, and grand houses and modest homes were built. By July 1883, the post office was established, with Gibson serving as the first postmaster. Within 2 years, a lumber yard and planning mill had been constructed, as well as a bank, school, and newspaper. Finally, in 1887, the Great Northern Railway linked Great Falls by rail to the other emerging metropolises of the territory, Butte and Helena. In turn, Great Falls became a cultural and industrial landmark in Montana, with the women being the driving forces of economic development, civilization, and culture. 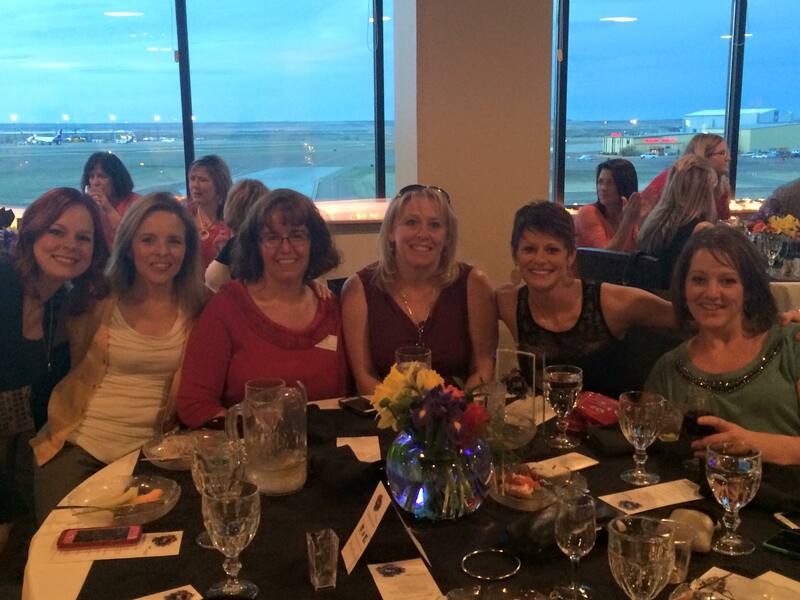 Today, women are still at the forefront of change in Great Falls. Women lead in medical, artistic, and professional fields in Great Falls and women are continuing to write the story of the Electric City. We invite you to experience the never-ending and dynamic story of Great Falls!